Reference architectures are understood as guidance or abstract standard models in form of recommendations, terminology or formalized engineering processes. They contain basic components (e.g. interfaces and services) that are used for the design and implementation of complex technical systems and distributed architectures. With the development of oupPLUS, a Smart Cities ICT (Information and Communication Technology) reference architecture, a central element for the implementation of standardized Smart City concepts in urban environments is envisioned. Successful reference models from the Internet and telecommunication sector, such as the layer models TCP / IP and ISO / OSI, are considered as guiding examples for reference models and architectures of vital importance. As basis for the research work on oupPLUS, researchers from Fraunhofer FOKUS created a catalog with important insights as well as central challenges. The catalog was worked out in close cooperation with experts from various IT companies and incorporated lessons learned from successful EU projects such as Triangulum or Open Cities. The most important contribution of oupPLUS is the facilitation of interoperability between components, modules, layers and general artefacts of ICT systems for Smart Cities. For this purpose, the researchers of Fraunhofer FOKUS identify and analyze interfaces between the individual elements and discuss these in the framework of standardization activities with well-known industry partners and market stakeholders. A high degree of interoperability simplifies the replication of ICT-based solutions among multiple cities. The focus is on the transferability and replication of concepts and components across European urban centers. enables the standardization (e.g. ISO, DIN, ETSI) of ICT Smart City concepts, e.g. with respect to components and interfaces of the reference architecture. The experts at Fraunhofer FOKUS participates at key standardization activities in the domain . They provide insights into their own research and participate with their experience and expertise in the areas of IT and telecommunications, including urban ICT. Significant standardization initiatives are constituted by the "Memorandum of Understanding – Towards Open Urban Platforms for Smart Cities and Communities" of the EIP-SCC, as well as the DIN SPEC 91357 reference architecture model "Open Urban Platform" (OUP). In terms of content, oupPLUS ties in with the OUP reference architecture in order to further develop and standardize ICT concepts for smart cities. Examples of Smart City implementation projects have demonstrated a very broad diversity of ICT solutions, specifications and designs. 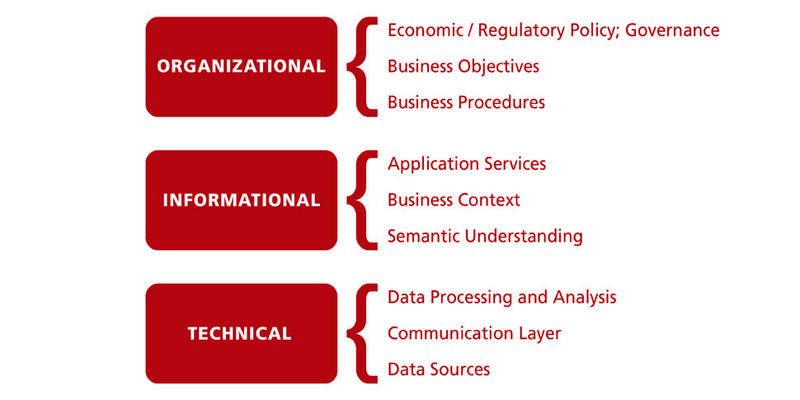 These individual and partial solutions do not yet constitute a standardized basis which is suitable for describing a generic ICT reference architecture. Nevertheless, they are starting points for the identification of relevant ICT architectural components and approaches. The research effort of Fraunhofer FOKUS aims to combine the achievements of existing Smart City architectures and architectural frameworks (e.g. TOGAF and GWAC) with academic research results. A Smart Cities ICT reference architecture should follow a holistic view of a Smart City ecosystem. Challenges arise from the complexity of such systems. They are used in a wide range of application domains – such as transport, energy, health, public safety, education – and demonstrate complex operations and maintenance processes. In addition, the needs of stakeholders from different disciplines and domains must be taken into account. Besides the operational complexity, Smart City systems have to fulfill strict quality requirements for reliability, availability, maintainability, security and privacy. In order to identify both suitable and missing Smart City standards, a clearly defined method for performing a gap analysis was established and implemented. Using Open Source and avoiding vendor lock-in.